The temperature starts to climb as the end of February approaches, and this marks the beginning of summer in Kerala. 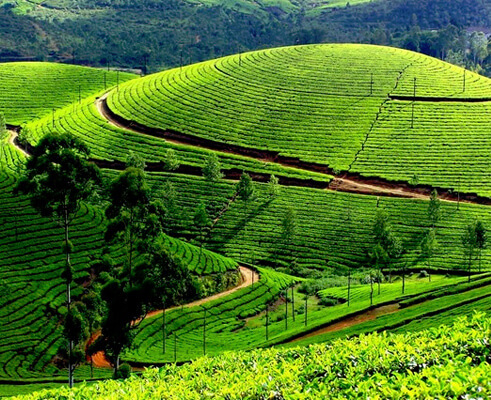 The summer season in Kerala is relatively better than the two neighbouring states of Karnataka and Tamil Nadu due to the Western Ghats that prevents the dry northern winds to enter the state; and presence of the Arabian Sea, which brings in the cool breeze. Also the state gets intermittent rainfalls that brings the temperature now and then during the summer season. With the maximum temperature not exceeding more than 36°C, Kerala remains a good option to plan a summer holiday in which one can enjoy beach activities at Thiruvananthapuram, Kovalam, Varkala; soothing houseboats tour on the Alleppey backwaters and sightseeing tours of Wayanad and Munnar. Summer is also the season of celebrating elephant festivals in various parts of Kerala like Thrissurpooram, which takes place in late April or early May each year.